Callee Ackland grew up on the west coast in Oregon, where she learned the importance of sustainability. 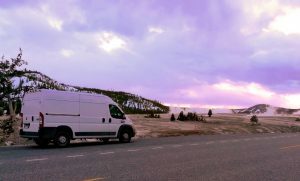 After serving in the Navy, Callee chose van life as a sustainable travel option. Since then, Callee has seen most of the United States , and plans to continue her travels in her 2014 Ram Promaster campervan. She’s now also an eco-entrepreneur + zero waste activist. 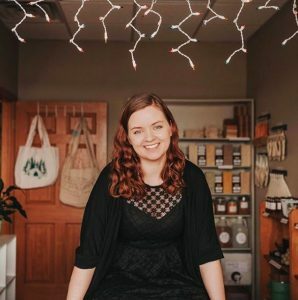 She’s the owner of a Zero Waste Store Bestowed Essentials, a line of sustainable home goods with an online shop + a retail storefront in Rapid City, South Dakota. We talked all about having more travel in life through sustainable lifestyle choices with a smaller carbon footprint and how to implement eco-friendly practices. If you want to make better and smarter choices, this is a fantastic conversation with Callee! Where can you find zero waste stores?